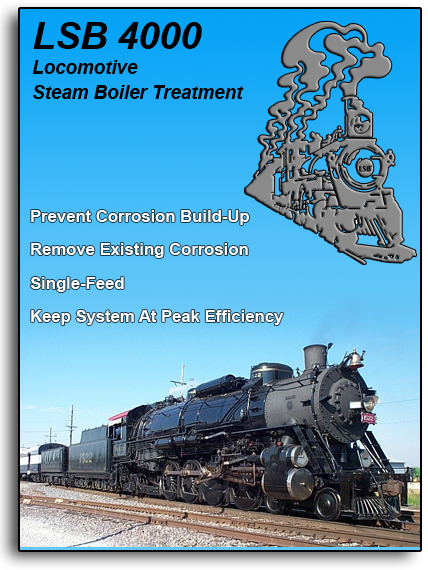 The outstanding performance of LSB4000 has been proven world-wide on hundreds of saturated and superheated steam engines using both softened and raw water make-up. 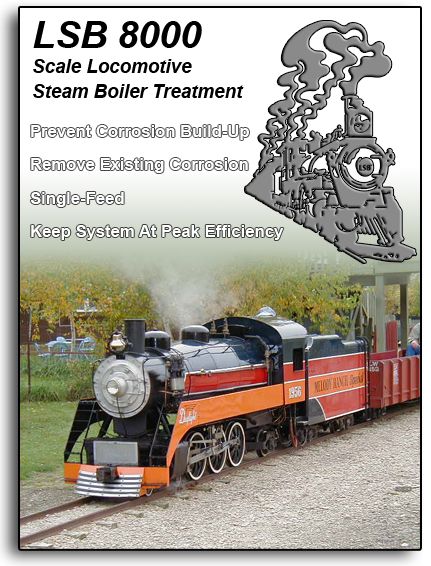 TERLYN LSB8000 is the most advanced locomotive water treatment ever developed and the only treatment specifically designed for the live steam hobbyist. LSB8000 is a single feed treatment that will control scale and corrosion in live steam boilers while removing existing deposits. It is easy to use, cost effective and safer to handle than most household cleaning products. The exceptional performance of LSB8000 has been proven on hundreds of scale locomotives and is recommended by live steamers across the country. Removes Existing Scale Deposits Without Acid!